Friedman reflects on the tension of universalism and particularism in Israel’s current ethical dilemma surrounding whether to absorb African refugees into its population. She expands the tension to her work as coordinator of Siach, a network of international Jewish social justice and environmental professionals. She uses an upcoming conference in Budapest of Jewish social justice leaders to offer examples that highlight these tensions. 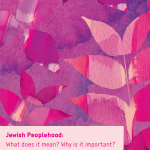 PreviousPrevious project:The Magnetic Pull of TorahNextNext project:What is Particular and What is Universal in the Jewish People? Bosley Hair Restoration – is it natural looking?My brother wants to use Bosley he already consulted with them and knows how much it will cost. As a concerned brother, I want to know is Bosley really effective and is it really natural looking? Anyone who sees him after this surgery know he had this done? What are some of the post-surgery precautions he needs to do? Thanks. Geez, that’s unblaieveble. Kudos and such.